During Vigil a stormy night in Iceland is installed in the interior of the Bookshop-Projectspace as a two channel videoprojection. 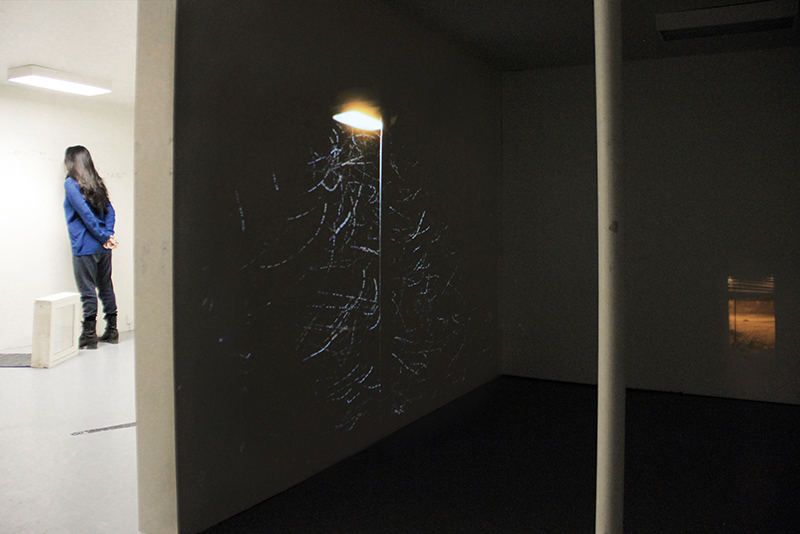 The projections are adapted to the dimensions of the exhibition space and interact with each other. 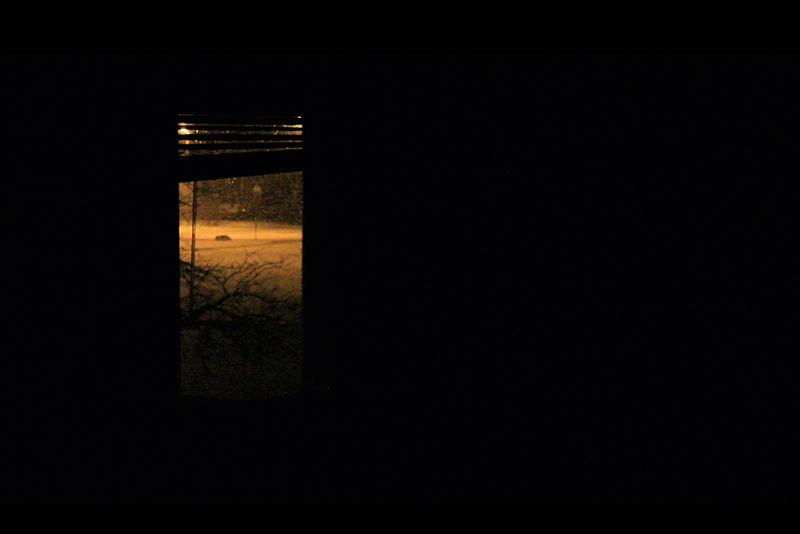 A large street lamp and a small window are isolated through darkness. Both elements are positioned on the walls of the given space in a way that the video frame dissolves. 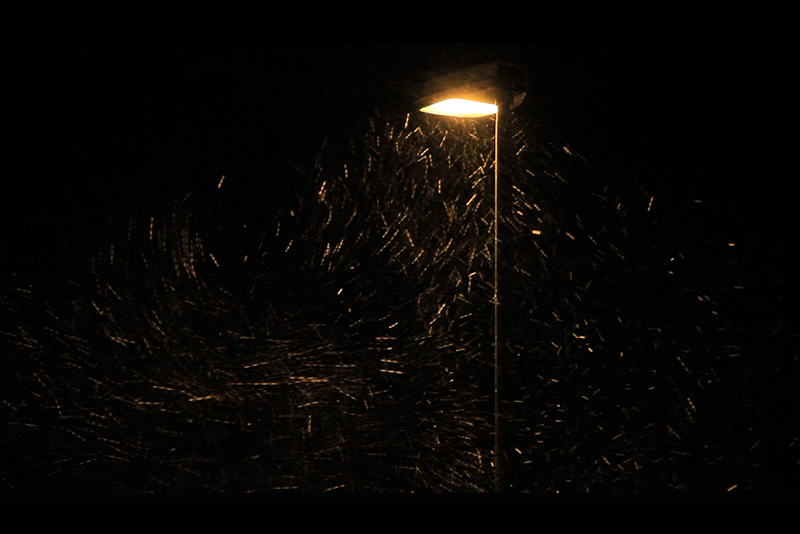 The small window opens a view from the inside towards a remote location, while the light of the lantern renders visible the complex whirling dance of the snow flocks. Sometimes turbulent and swirling, others calm. Meanwhile, short moments of stillness. The movement is expressive, as if it were a harbinger of an event. But nothing happens. The moment remains rather quiet, almost meditative. For the exhibition at The Bookshop - Project Space in Seydisfjordur (IS), the work "Vigil" and "No time to look through the mountains?" (see next project) are juxtaposed spatially.